It’s sort of earth shattering and all. 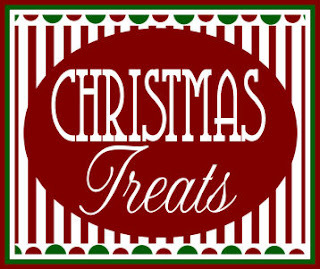 Do you need another cookie recipe for your collection? Wow. That’s a lot of cookie recipes. But do you have a Cherry Cookie recipe, I’m wondering. Do you have a White Chocolate Cherry Cookie recipe that is melt in your mouth delicous? but don’t have a recipe like this in your collection?! I’m so glad you came to see me today. It was aweful nice of you. I hope you’ll come back tomorrow for some chocolate. 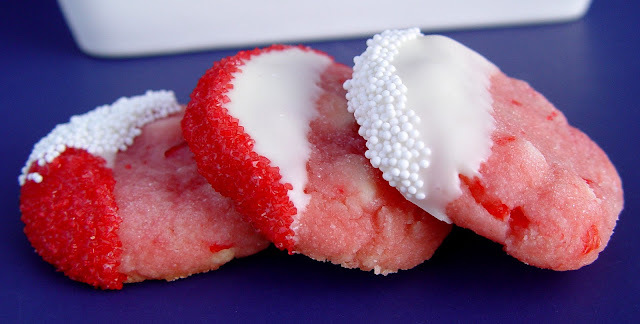 I have seen these White Chocolate Cookies pop up here and there on Pinterest. 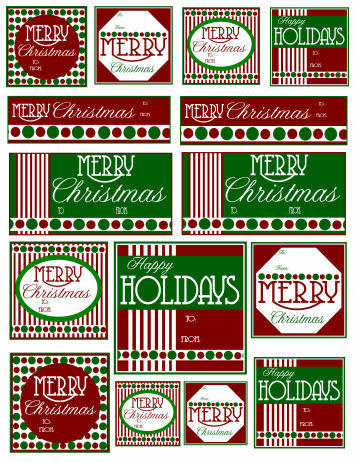 They are fun to make, and quite festive looking with the red and pink colors. I have adapted the recipe a bit, by adding more maraschino cherries, almond extract and some maraschino cherry juice. 2. Chop your cherries into small pieces. 3. Pour the flour and sugar into a large mixing bowl and toss it together to combine. 4. Cut your cold butter into cubes and place it into the bowl. 5. Using a pastry blender, cut the butter into the dry ingredients until the mixture resembles coarse crumbs. 6. Add your chopped cherries and 2/3 C of white chocolate chips. and the beautiful red cherry juice. 8. Stick your hands right into the bowl and use them to combine all of the ingredients together well. Smash it up, knead it together…work your magic. 9. Roll the dough into small balls, about 1 inch each. Set them on a cookie sheet that has been sprayed with cooking spray. 10. Dip the bottom of a small mug or drinking glass into some sugar. 11. Press the bottom of your mug into each cookie, pressing it out flat. 12. Bake your cookies at 325 for 10 to 12 minutes, or until the center of the cookies are set. Allow them to cool on the sheet for a couple of minutes and then move them to a wire rack to cool completely. 13. Pour the white nonpareils and red sprinkle into two separate small bowls. 13. Pour the rest of the white chocolate into a small bowl. Heat it in the microwave for 30 seconds and then stir. Return it to the microwave and heat for another 30 seconds and stir. Repeat until the white chocolate is melted and smooth. 14. Add the 1/2 t shortening and allow it to sit in the white chocolate for a couple of minutes. Stir it in and you are ready to dip your cookies. 15. Dip half of each cookie into the white chocolate. 13. Allow the cookie to hang over the top of the dipping bowl and drip to remove excess chocolate. 14. 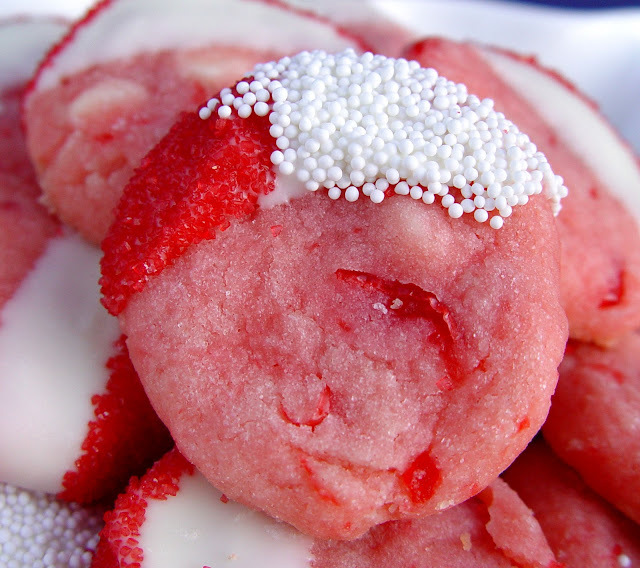 Immediately dip the chocolate side of the cookie into the red sprinkles or white nonpareils. 15. Place the cookies on a cookie sheet lined with wax paper and allow the chocolate to harden. Should take about 20 minutes. Im no cherry lovin fool, but these look great! The base of this cookie is quite similar to one I make every year. Instead of white chips it has chopped pecans. I roll the dough into logs, roll the logs in coconut and slice them into rounds. We call them Santa's Whiskers. Your version looks equally yummy! oh my goodness – these sound sooooo yummy! These are so cute, and vibrant with color. These look so yummy. Drink the juice…I'll never tell. 🙂 We aren't big fans of white chocolate, do you think you could substitute reg chocolate and get the same yummyness? I think it would be wonderful with dark chocolate. Let me know if you give it a try! Have a good one! I brought these to a cookie exchange and someone else brought the regular bhg ones and mine won:-) so good. Ahhh….your Lemon White Chocolate cookie picture lured me over here from Pinterest and then I saw this little beauty! Heavens, looks like I have to make two kinds of cookies soon. Thank you!!! BTW, do you think it would be ok to substitute candied cherries for the maraschinos? I have a tub of them bought for Christmas baking sitting lonely in the cupboard. Substituting candied cherries would be great, however if you notice the recipe calls for some of the juice from the marchino cherry jar. If you omit this it may have less of a red color, and you may need to add more candied cherries. Good luck! I was browsing your cookie recipes and was intrigued by this one. I am not a fan of almond extract…would it be okay to use vanilla instead? Or would that just ruin the whole yummy factor. BTW….my husband is in heaven with all the new recipes I’ve gotten from you. I’ve found the joy of cooking again and he of course has found the joy of eating! Both our waistlines show that! I haven’t ever tried it with vanilla, but my thoughts are it would work out fine for you. Good luck! Hope you love it! I made these last year and absolutely loved them! I want to make them again this year and I’m wondering if they would turn out ok if I make it a few days before Christmas and chill/freeze the dough, and then bake and decorate when we’re ready to eat them. What do you think?